A relaxing morning of yoga led by Ms. Joan. A $5 suggested donation benefitting local animal charities, a different one chosen each quarter. Stay afterwards for a beer. 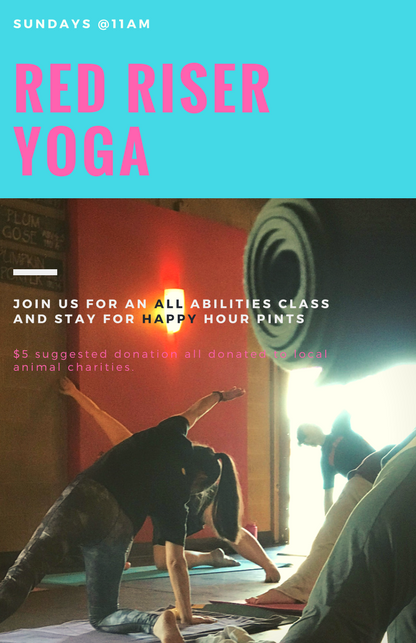 Join us every Sunday morning for a relaxing hour of yoga led by the wonderful Ms. Joan. There is a $5 suggested donation that goes to local animal charities, a different one chosen each quarter. Stay afterwards for a beer, Happy Hour prices all day Sunday.